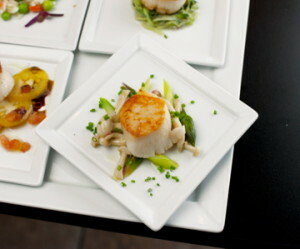 Scallops at Market Table Bistro in Lovettsville, one of Loudoun&apos;s fourteen destination restaurants. Do you have a restaurant that you love so much that you’ll drive an hour or more just to dine there? How about a dish that was so amazing that you consider it a life changing experience? If so, then we want to hear from you! Loudoun’s Destination Restaurant Program is accepting nominations for new Loudoun restaurants to accept into the program. These are those restaurants that are worth the drive alone. Special places that offer a unique experience and authentic, quality cuisine. Visit Loudoun’s Destination Restaurant Program currently includes fourteen establishments from across the county offering everything from five star farm-to-table cuisine to some of the best pizzas in the region. Check out the full list of current destination restaurants on our website. If you have a favorite Loudoun restaurant that you think should be on this list, leave us a comment here or on our Facebook page or send us a tweet with the hashtag #LoudounDining. Nominations are being accepted until this Friday, April 18th. And while we’re talking food, take a moment to cast your vote in Virginia Is for Lovers Culinary Madness challenge. Show your appreciation to the mother daughter team that own and operate Little Apple Pastry Shop by voting for their Thanksgiving Sandwich. Lansdowne Resort’s Crooked Billet is also in the running with their Spring Harvest Virginia Faux. Let’s get these Loudoun dishes to the final four!